A humorous story about a busy family and a dog who wants to go outside. Eventually, the family realizes a walk together is what they all need. Have fun finding the hidden dog bones, counting the barks, and looking for the color red on each page. The book includes repetitive text and sight words. 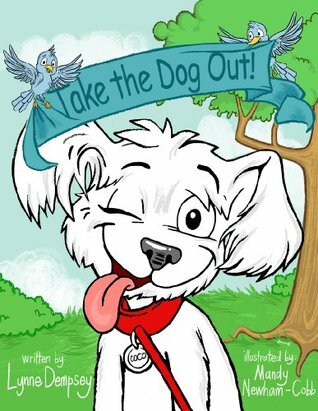 Take the Dog Out was an adorable little read that my son absolutely loved! He had fun seeing the antics the puppy caused when everyone was too busy to take the dog outside. While my son is a little bit too young to enjoy two activities that are also in this book, I'm sure kids around 3 through 6 will have a great time with it. There is a dog bone hidden on every page to find, and there is something red for the child to pick out, as well. With simple, repetitive language and fun illustrations, younger children will have fun being read to while slightly older children will have fun learning to read with this cute family dog.